If you need further information or help regarding Cavalio floors then take a look in our question bank below. Can I purchase Cavalio via the internet? Cavalio Floors do not sell directly via the Internet and transactions of this nature are at your own risk. Cavalio requires professional installation therefore we strongly recommend you purchase Cavalio via your nearest Retailer. Do Cavalio offer borders and inlay accessories? Cavalio has a wide range of borders and inlay accessories available. Bespoke borders and inlay strips are also available in any shade from the Cavalio collection. 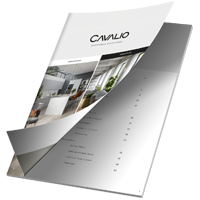 To view all inlay strips in more details please see the Cavalio brochure. Yes. Cavalio Floors are often the preferred choice over natural materials. It has an authentic appearance without the disadvantages of real wood or stone. When it comes to creating the perfect flooring design, the impact of obtaining the correct flooring cannot be underestimated. You might have considered the merits of slate, tile or wooden flooring, but have you considered being able to have the visual impact of all of these, but without the hassle? Vinyl flooring is the ideal choice, and here’s why. It’s flexible. 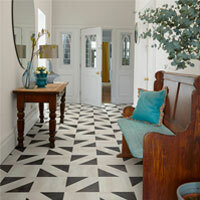 Vinyl flooring is without doubt the most customisable material that you’ll find anywhere. Easily cut and shaped, you can make it fit comfortably into any space and into any pattern. Limited only to your imagination, vinyl is your oyster! It’s tough. Luxury vinyl flooring possesses a natural ‘give’ that is unlike any other material that can be used for the same purpose. Wood, ceramic and other floors are all susceptible to chips, scratches and other issues that occur through day to day life. Whether you’re a bit on the clumsy side or simply enjoy the odd bit of DIY, Cavalio floors will only display the minimum of visible damage following any accidents. It lasts. Even if they’re treated with respect, other floors such as wood will inevitable suffer visual wear simply by being walked on! Vinyl is far less susceptible to mother nature, meaning that as the years go on, it will barely age at all. It suits all forms of design. Whether you want a kitchen with a Grecian theme, or want a bathroom that wouldn’t look out of place in a Spanish villa, you’ll be able to find the ideal pattern to accentuate your design. Why settle for anything less? What are Cavalio Floors made from? Cavalio Floors are constructed from multiple layers of vinyl for stability and strength, with photographic reproduction of natural materials and finally a tough polyurethane wear layer applied for durability. You can quickly and easily order any samples you require from this website. Simply go to the product(s) you require and click add to samples. You can then order your samples by clicking Sample Basket on the top right of the page and following the instructions presented there. Where is my nearest Retailer? Click here or ‘Where to Buy’ from the menu above, enter your postcode and you will be shown the 5 closest locations with the ranges they have in store. You can click get directions to open Google maps in a new window with directions from your post-code! Our floors are truly authentic. We’ve had thousands of customers who have chosen our ‘stone’ or ‘wooden’ flooring over the actual materials themselves. Our floors contain all the authenticity of the natural materials, without the flaws that hinder them. Our floors last. In the hectic world of modern life, stains, scratches and spills are all commonplace. Cavalio floors have a proven record of durability against these issues, and are incredibly easy to clean and maintain. Our floors cannot be beaten for convenience. Our floors can be customised. Your imagination is totally unique, so why settle for a kitchen that a hundred other people have? Cavalio luxury vinyl flooring can be cut and shaped into whatever form you desire, and our large range of designs mean that you’ll be able to find the perfect colour to suit the rest of the room. Our floors are beautiful. This one doesn’t require much explanation: take a look at our catalogue if you don’t believe us! Whatever kitchen you have planned out in your mind, one of our unique and stylish designs will perfectly accentuate it. Don’t settle for anything less than the best. Can Cavalio be fitted around difficult features? Professional installers are able to fit Cavalio flooring around most difficult areas including curves. They can also make a feature of almost any area by the clever use of feature strips and different laying techniques. Can Cavalio be fitted in any room of the home? Cavalio floors can be installed in any room of your home from hallway, kitchen, lounge, dining room and conservatory, to bedroom and bathroom. Cavalio floors are not suitable for outdoor use. Can I install Cavalio flooring myself? Your local retailer will provide a professional fitting service. Cavalio Floors do not recommend DIY installation due to the product characteristics and possible floor preparation required. How soon after installation can a Cavalio floor be used? Your retail specialist will give you instructions, however Cavalio do not recommend you use your floor or replace furniture for 24 hours after installation is complete. How soon after installation can a Cavalio floor be washed? Your retail specialist will give you instructions, however Cavalio do not recommend that you wash the floor for 48 hours after installation is complete. Is Cavalio fixed or loose when laid? Fixed, it comes as tiles or strips which are glued to your prepared floor surface to provide a flawless finish. Is Cavalio suitable for use in a conservatory? For rooms with varying temperatures such as a conservatory, a HT Adhesive must be used. Tiles must be acclimatised to room temperature for at least 24 hours before installation and this temperature needs to be maintained for a least 24 hours after installation is complete. The room may require protection from direct sunlight whilst fitting. Refer to the Cavalio Technical Manual for detailed instructions. Briefly, the room temperature should ideally be between 18 – 26°C but more importantly should be constant and not varying by more than 2°C, for at least 24 hours before, during and after installation. Can spilled liquids seep through the edges? As with all floor coverings, spillages must be cleaned up immediately to avoid the floor being slippery. Subject to correct installation spilled liquids are restricted from seeping through the edges. How do we maintain our floor? Cavalio is easy to maintain. Regular cleaning will prolong the life of your exceptionally stylish floor. Please view our handy floor care sheets here. Is Cavalio suitable for walls and ceilings? No. 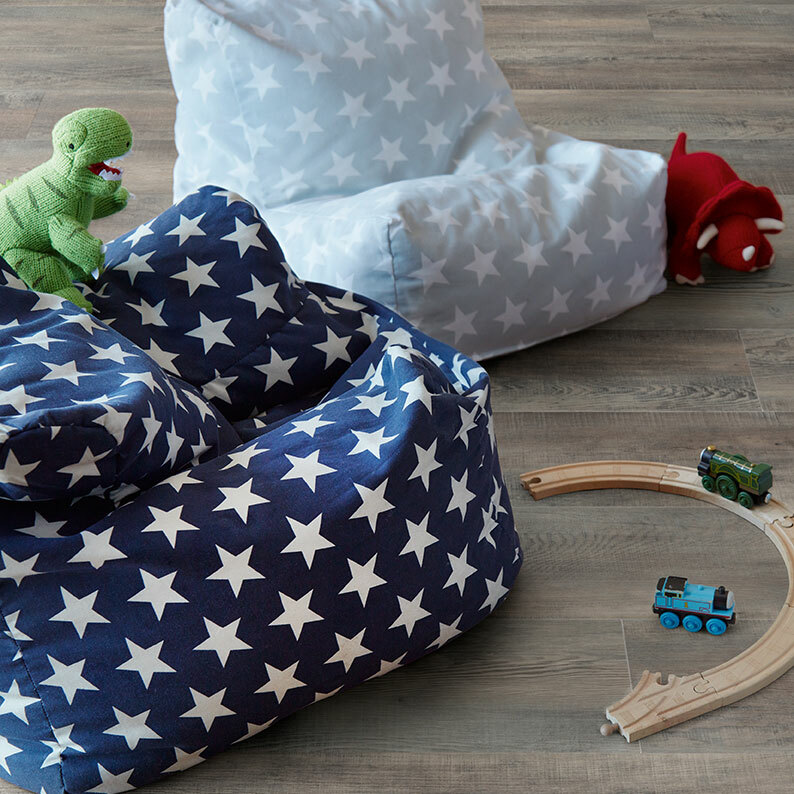 Cavalio recommend their products are used only as a floor covering. Where do I go should a complaint occur? The Retailer who installed your floor is your first point of contact. The Retailer will examine your floor and if necessary make contact with the Cavalio Technical Team. Cavalio floors have good slip resistance when the floor is clean and dry. However as with other smooth floor coverings, water and other liquids can make them slippery. Clean up spillages immediately to help prevent slippery areas. Can Cavalio be used next to an Aga stove? Cavalio Floors should not be installed where the temperature will exceed 27° C, therefore subject to the floor covering having no direct contact with any of the hot stove parts Cavalio would be suitable for this type of installation. Cavalio Floors are constructed from multiple layers of vinyl for stability and strength, with photographic reproduction of natural materials and finally a tough polyurethane wear layer resulting in high quality, durable floor coverings. What is the difference between design strips and feature strips? Strips can add definition to a floor, if required, to create the appearance of grouting and highlight a tiled or plank area, or they can simply be added to create or compliment a feature such as metallic or contrasting wood line to personalise your floor. 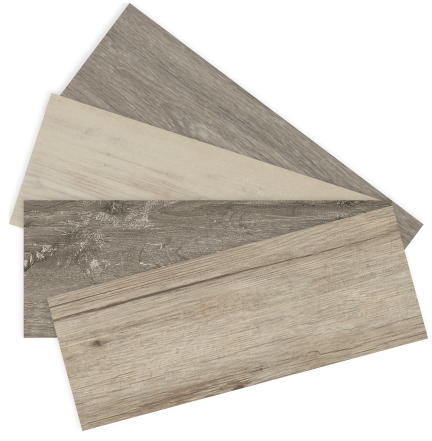 Design Strips are cut from luxury vinyl tile and is therefore the same construction as the tile itself. Feature Strips come in contemporary solid colours and are strips of pvc manufactured to the same thickness as the tile or plank product. What is the difference between the Cavalio ranges? Each range has a different wear layer – this is the durable polyurethane layer applied during manufacturing which determines the life expectancy, and guarantee, of each product given normal wear and tear. LOC is an interlocking flooring solution which eliminates the need for adhesive, therefore reducing installation time by half and offers up to 19dB impact sound reduction. Projectline: 0.55mm wear layer – 10 year guarantee in domestic and commercial installations. LOC: 0.55mm wear layer – 10 year guarantee in domestic and commercial installations.